Stop by booth #32 at the FMI Asset Protection Conference and learn more about how Vector Security can help "shrink your shrink." Click here for more information. See you at the show! Vector Security® provides high-quality, reliable and technology-driven loss prevention security solutions to thousands of nationally recognized retail sites across North America, including many of the top 100 multi-site retailers. 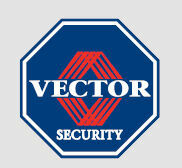 If a total loss prevention solution is not needed, knowledgeable industry professionals at Vector Security can tailor a security solution to upgrade or complement what’s already in place.